Mouldable to suit each individuals dental profile. 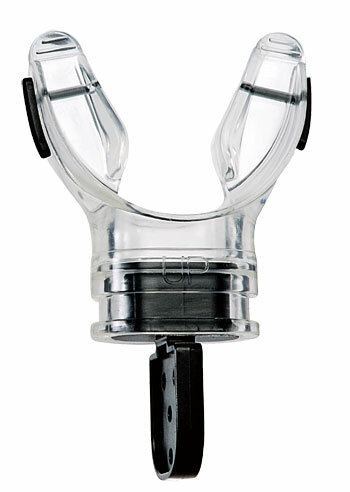 The most appreciated benefit of having a properly fitted mouthpiece is less physical exertion is needed when using a second stage equipped with this mouthpiece, leaving the diver with significantly reduced jaw fatigue. Simply immerse the mouthpiece into hot water for 30 seconds then place it inside mouth biting down and sucking for 30 seconds, rinse with cold water and then recheck fit, repeat the process as necessary.